Alzheimer Groupe Inc (AGI) is a charitable organization that offers therapeutic programs to individuals living with Alzheimer’s disease and other dementias. Additionally, AGI provides support services to families and professional care partners, focusing on best practices in dementia care, while sensitizing the community at large through education and awareness. We are here to ensure that the quality of life throughout a family’s journey with Alzheimer’s is well supported in a positive and caring way. AGI’s approach to caregiving is founded on the premise that all individuals with dementia deserve an excellent quality of care characterized by joyful, loving interaction. A deep understanding of the individual and their disease. 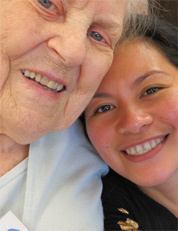 A gentle and empathic approach to physical care. A concern for psychological and emotional functioning. Knowledge of appropriate intervention strategies. AGI counsellors help the entire family face a new reality with greater understanding of what can still be done and give them the hope that even as the journey through Alzheimer’s progresses, a life can be well lived. One day we hope that a cure for this disease will be found, but until then, we are here to care for the caregiver. 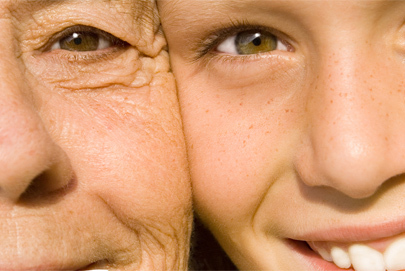 Alzheimer Groupe (AGI) has been serving the Montreal community for over 30 years. It was started by a small group of committed volunteers who were having difficulty finding services for a friend who had been diagnosed with Alzheimer’s disease. They realised that there were so many other families and caregivers in the Montreal area who were also struggling to find adequate support services and activities. AGI, a not-for-profit entity, was granted a charitable tax number and opened an independent office in the west end of the city. Since then, AGI has been able to expand operations and support services in Montreal and soon the West Island, thanks to the generosity of private and corporate donors and through fundraising events throughout the year. Today our dedicated and compassionate professionals and volunteers provide support services to more than 1700 Montreal area families annually.